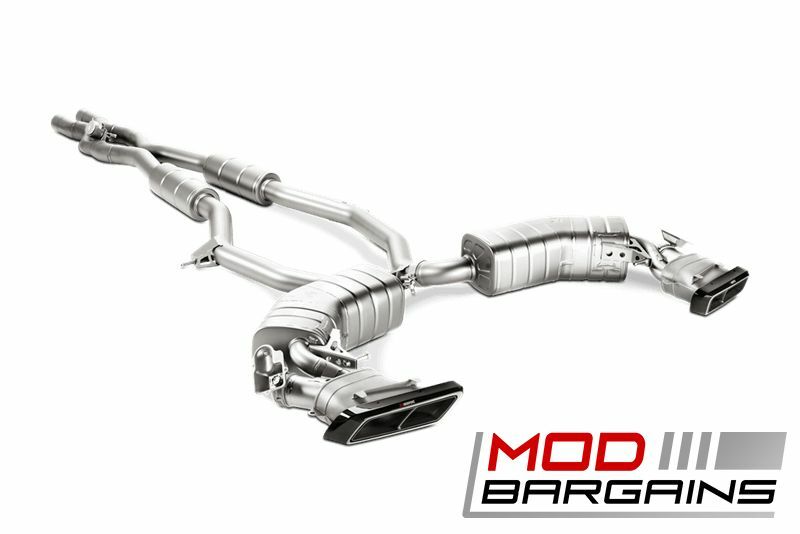 Take back the attention from the Porsche and Ferrari owners with the Akrapovic Exhaust for your S63 AMG. The exotic and aggressive tone will shock and awe onlookers. Leave no head unturned as you pass with a beautiful exotic symphony! Aggressive exhaust note when you want it, quiet and luxurious when you need it. 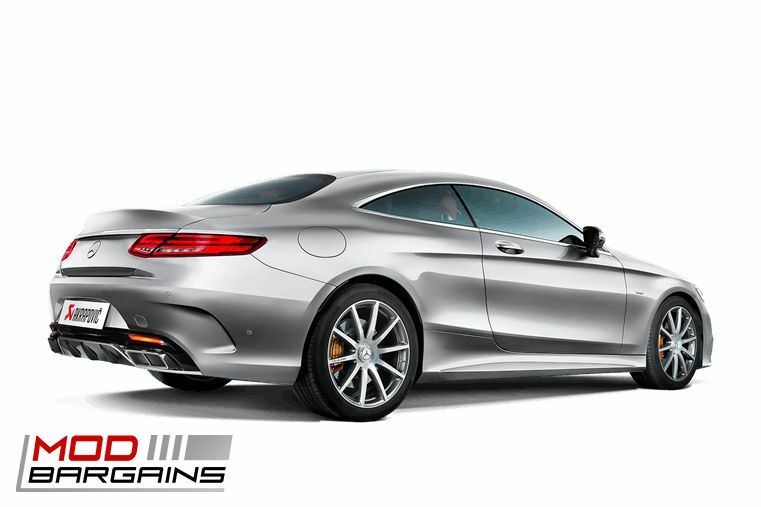 An Akrapovic Exhaust will elevate the presence of your S63 commanding respect and adoration. Satisfy that need for acoustic ecstasy by opening up the vales on your Akrapovic System and flooring it! Your S63 AMG delivers luxury and style by the ton. It is both powerful and aggressive. Isn't it about time it sounded like it? 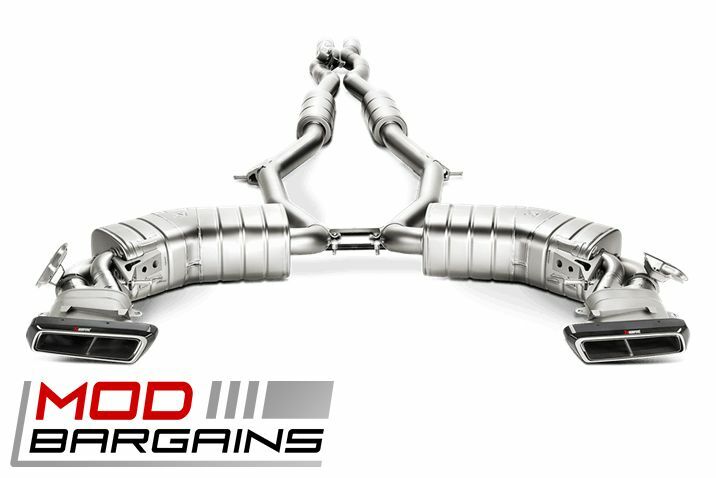 Akrapovic Evolution Exhaust systems are top of the line and designed with every detail of your car in mind. The full system (requires MTP-ME/T/1H + E-ME/T/2 *see drop down menu*) has been tuned to provide a stunning exhaust note during aggressive driving, smooth and refined while cursing, and eargasm worthy when the active X-connection is engaged. 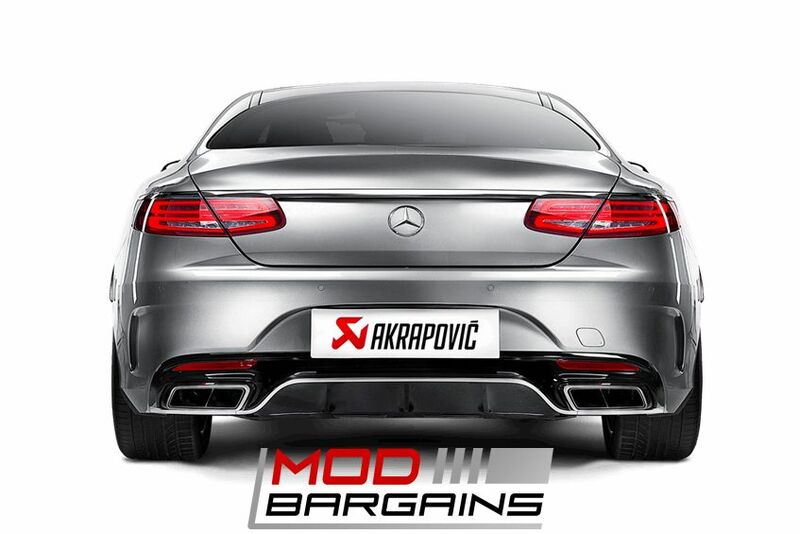 Akrapovic is one of the most highly regarded exhaust manufacturers in the world which makes it the perfect pair for your AMG Mercedes. 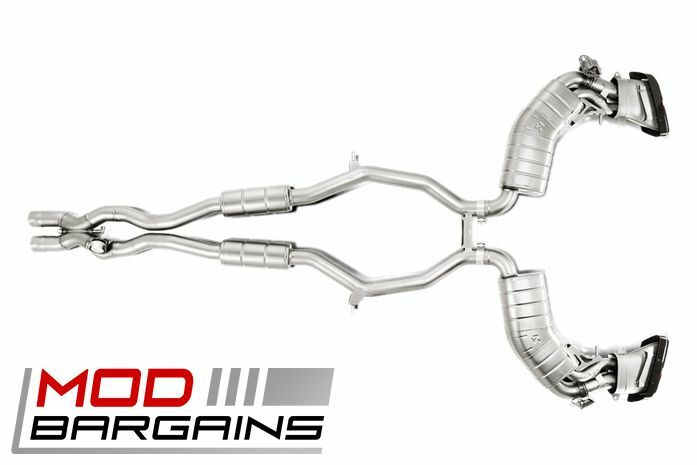 This Evolution Exhaust System is built from the highest quality titanium and made completely in house. The special titanium alloys are extremely light weight saving 32 lbs over the stock system and built to last. Akrapovic's revolutionary new systems feature an active X-connection which is perfectly formed to allow exhaust gases to mix from both sides of the motor for optimal performance and sound. Not only does the Akrapovic exhaust sound amazing, it is visually inspiring as well. The integrated Carbon Fiber tips fit perfectly in the factory exhaust openings while providing a sophisticated and exotic look.